The AMD processors that will probably hit the market soon were recently spotted in the official product master list available on AMD.com. In addition to the dual-core and quad-core desktop and mobile Ryzen processors, there are also three Threadrippers: the octa-core 2900X, the 12-core 2920X, and the 16-core 2950X. 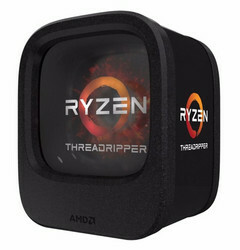 Those who were wondering about the upcoming AMD processors should know that the official product portfolio — a comprehensive document with over 200 pages — that can be found on AMD.com contains a few unannounced chips which go from a dual-core Ryzen 3 processor for cheap desktops to a 16-core/32-thread behemoth that should join the Threadripper family. In the list above, the first Ryzen 3 for desktop and mobile is a dual-core chip with 4 threads, while the remaining ones come with 4 cores and 8 threads. At last, the Threadripper processors start at 8 cores and 16 threads, moving up to 12 cores and 24 threads, the reaching the top at 16 cores and 32 threads. Since the launch of these processors has not been announced yet, there are still some details missing (clock speeds, TDP values, amount of cache memory, and so on). However, since they are second-generation Ryzen processors, we can safely assume they are based on the 12 nm Zen+ architecture also used in the recently released Ryzen 5 2600/2600X and Ryzen 7 2700/2700X processors. If this turns out to be the case, the unannounced processors will feature support for Precision Boost 2.0, higher maximum frequencies, as well as improved memory latency.